BRAND NEW FOR 2019! Luxury Studio and 1 bed apartments on campus! 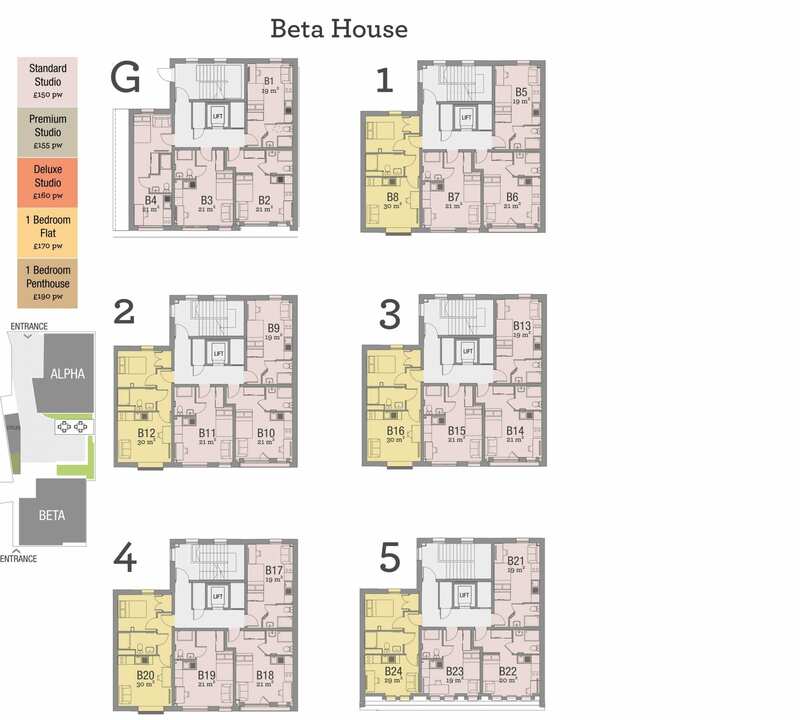 Please Note: Computer generated images and floor plans are intended to give a general indication of the proposed layout and style only. All images and dimensions are not intended to form any contract or warranty. They are for guidance only and may alter as work progresses. 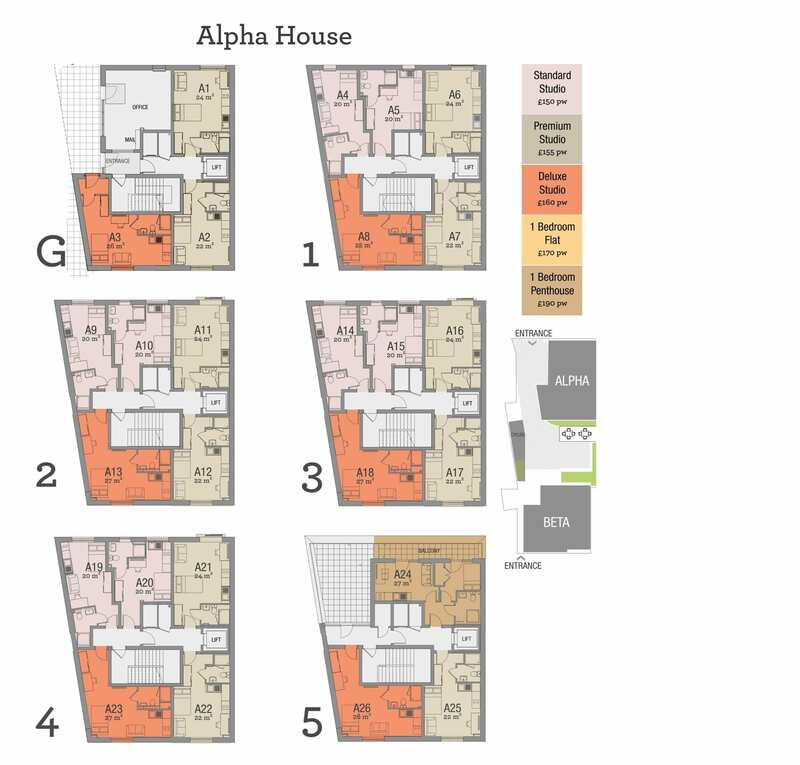 BRAND NEW FOR 2019-2020, Alpha & Beta house offers a selection of various sized studio and 1 bed apartments with an exceptionally modern finish throughout. Located on the DMU campus, this BRAND NEW building is perfect choice for all students looking to make the most of their university experience. Due to the property currently being under construction, the earliest occupation date is the 1st October 2019, therefore there is NO SUMMER RENT PAYABLE on this property.